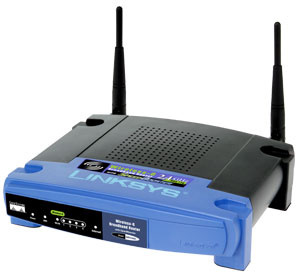 Networking giant Cisco has sold its Linksys home router division to Belkin. The move will give Belkin a healthy 30 percent of the home router market share. Major competitors in the market, which includes small businesses Apple and D-Link. "We're very excited about this announcement," said Chet Pipkin, CEO of Belkin. "Our two organizations share many core beliefs – we have similar beginnings and share a passion for meeting the real needs of our customers through the strengths of an entrepreneurial culture. Belkin's ultimate goal is to be the global leader in the connected home and wireless networking space and this acquisition is an important step to realizing that vision." "At Belkin, we're committed to enabling great experiences for users of today's mobile and connected home technologies," Pipkin concluded. "The acquisition of Linksys` and the combination of Belkin's and Linksys' expertise and innovation will position us to meet the demands of today's rapidly evolving advances in technology. We look forward to honoring the heritage of the Linksys brand and investing in the continuing evolution of its product portfolio. Together, we will provide a powerful, simple to use, and reliable wireless and networking platform for the markets we serve."